• Gotta love it when one of your favourite new acts for the year decides to release a Christmas single. 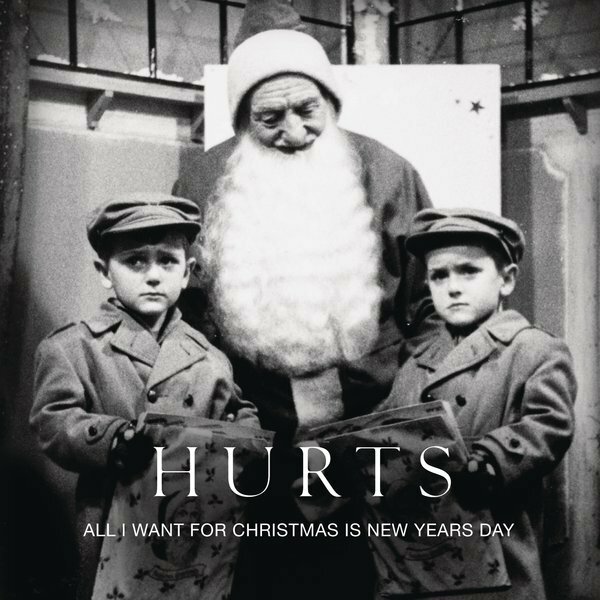 The boys from Manchester duo Hurts have seen their festive single ‘All I Want For Christmas Is New Years Day’ sent to local radio this week by their record company Sony Music. The single will be released digitally this Friday. • Universal Music looks to keep the tempo up at radio this holiday season with a couple of numbers being taken out this week – the latest Two Door Cinema Club track called ‘What You Know’ and the latest single from Aussie dance duo Itch-E & Scratch-E called ‘Back 2 The Jack’. • After their tour announcement last week, Warner Music has sent out ‘Cinnamon’ – the latest single from Stone Temple Pilots, as well as a remix of Josh Groban’s new tune ‘Hidden Away’. • And more festive fun from Sony – this time from Californian outfit Train. 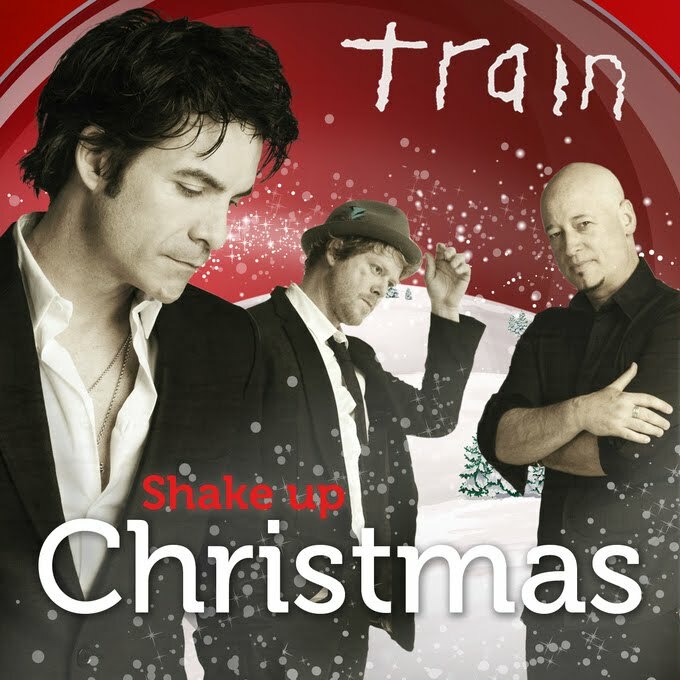 ‘Shake Up Christmas’ is part of a global advertising campaign for Coca Cola and is featured on the Golden Gate Edition of the band’s latest album ‘Save Me San Francisco’. • The gang from EMI has announced that their latest Crowded House tribute album ‘He Will Have His Way’ has now been officially classified gold, after more than 35,000 copies of the covers set were shipped to stores. The album is the long-awaited and critically acclaimed follow-up to 2005’s ‘She Will Have Her Way’. • Electro duo Lamb will tour Australia early next year. They’ve chosen Australia as the kick-off point for their brand new tour and will follow it up with the long-awaited release of their brand new album ‘5’ – their first long player in eight long years. The band plays Melbourne’s Prince Of Wales Hotel on February 17 and Brisbane’s The HiFi on February 18 before taking the stage at the Playground Weekender at Wisemans Ferry on February 20. Tickets for the Melbourne and Brisbane dates are on sale this Friday, with the band’s new LP due on May 05. • Inertia has announced the debut album for Cleveland recording artist Cloud Nothings (aka Dylan Baldi) on February 04. Stylistically described as “power pop”, the album will be preceded by the single ‘Understand At All’ – which is available as a free download from Inertia’s blog. You know you want it, so click HERE. • On the US singles chart last week, Katy Perry has sparkled her way into the top spot on the Billboard chart with her latest single ‘Firework’. It displaces Pink’s ‘Raise Your Glass’ in the top spot. Meanwhile, Rihanna’s making a charge with her new single ‘What’s My Name’, the Black Eyed Peas and Bruno Mars also surging within the top ten. The week’s highest debut is by the Glee Cast – their cover of Florence & The Machine’s ‘Dog Days Are Over’ debuts at No.22 – interestingly, right beneath Florence’s original version of the song, which charges up the chart. • Susan Boyle has reclaimed the No.1 position on the Billboard 200 album chart this week with her latest LP ‘The Gift’. Another 272,000 copies in the bag this week ain’t nothing to be sneezed at. Glee’s season two album debuts in the No.5 position, while it must be said that a No.6 debut for the Black Eyed Peas’ new album must worry some within the industry. Meantime, Mariah’s almost got another top ten album on her hands with ‘Merry Christmas II You’. • Over the pond and the Black Eyed Peas have moved up five places with their latest single ‘The Time (The Dirty Bit)’. It’s now at No.1 in the UK, with a debut from Willow’s ‘Whip My Hair’ just behind. Rihanna will be singing all the way to the band – her UK visit has paid dividends with both ‘What’s My Name’ and ‘Only Girl (In The World)’ up into the top five this week. She also features on David Guetta’s track ‘Who’s That Chick’, meaning she owns 30% of the top ten this week. The week’s highest new entry comes courtesy of Michael Jackson and Akon – ‘Hold My Hand’ in at No.11. • And on the UK album chart, Take That maintains their run at No.1 with ‘Progress’. It’s now notched up more and a million sales in just four weeks, with another 208,000 copies sold in the past week. The week’s highest new entry comes from the repackage of Alexandra Burke’s album ‘Overcome’, which is in at No.22. We’re not sure what’s happening with the chart information, but as soon as we get them, we compile the chart watch for y’all. Do you think you will be getting the ARIA sales this week. Hope so. It’s a real highlight of the week for chart watchers. Your figures even get posted on the UK chart forum. Rihanna’s “What’s My Name” has already peaked at #1 in the US (it debuted there several weeks ago based on strong sales, then plummeted to #6, but has been slowing regaining its popularity since). Oddly enough, it peaked at #1 before the lead single from the album, “Only Girl”, reached the top. It’s the first time in US chart history that the 2nd single from an album has reached #1 before the first single (which has subsequently reached #1, too). If “What’s My Name” returns to #1, more chart records will be broken.